Here’s a poster that I’ve done for the upcoming Sunderland Comic Con in February. It’s organised by Black Hearted Press who are also the publishers of the comic books by John Wagner, Alan Grant and myself. I will update you with some pencils and inks from that project very soon but until then here’s the poster and the original image. 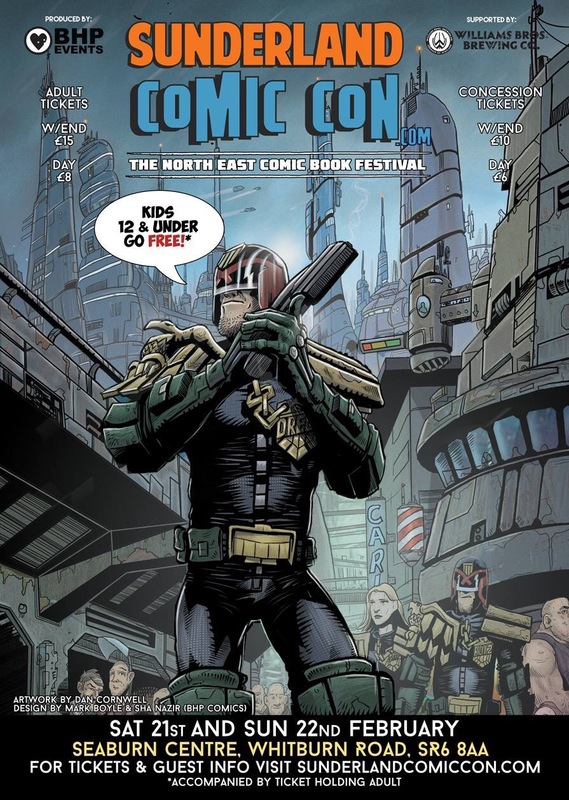 Get your Sunderland Comic Con tickets and info here.